Stateroom Bar (MF078B). Fun and functionality mingle in a vintage design sure to be the highlight of any gathering. Wheel in the bar, park and lock—now it's ready to use! 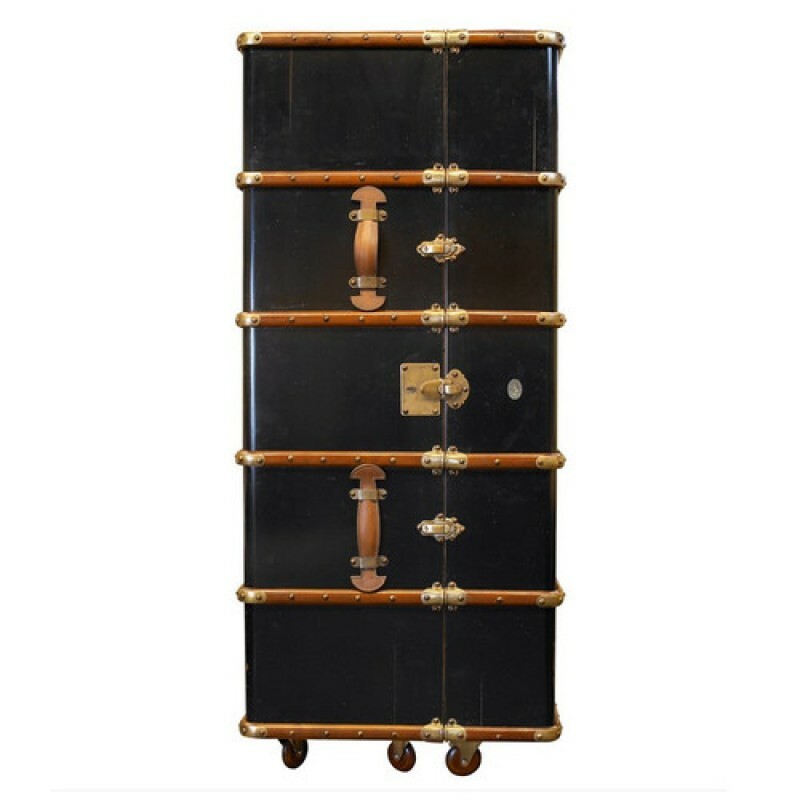 On the outside, bridle leather carry handles garnish the meticulous dark wood details. 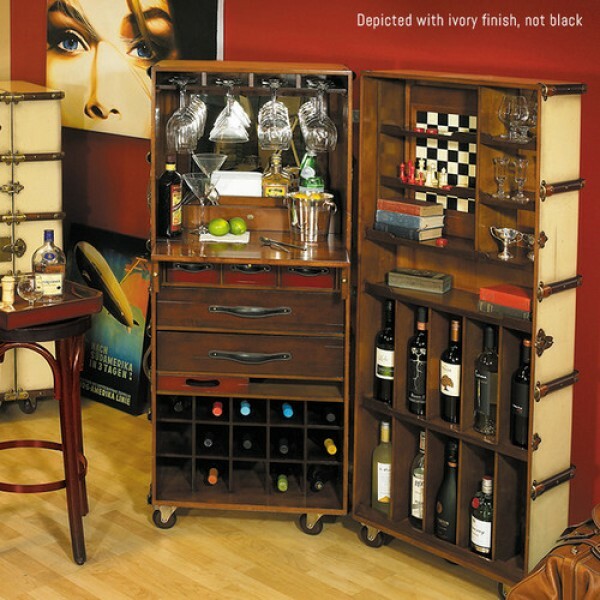 The bar includes storage for 25 bottles of wine, and a stemware rack accommodating 8 glasses. Drawers and nooks can be filled with your favorite bar accessories or game pieces. An ample counter provides cutting and serving space for intimate entertaining. 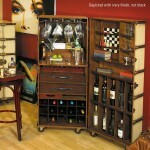 A must have piece of furniture for any adventurer. 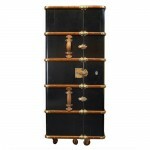 Inspired by 1930s steamer travel trunks, this mobile bar is an impressive piece of historic proportions.